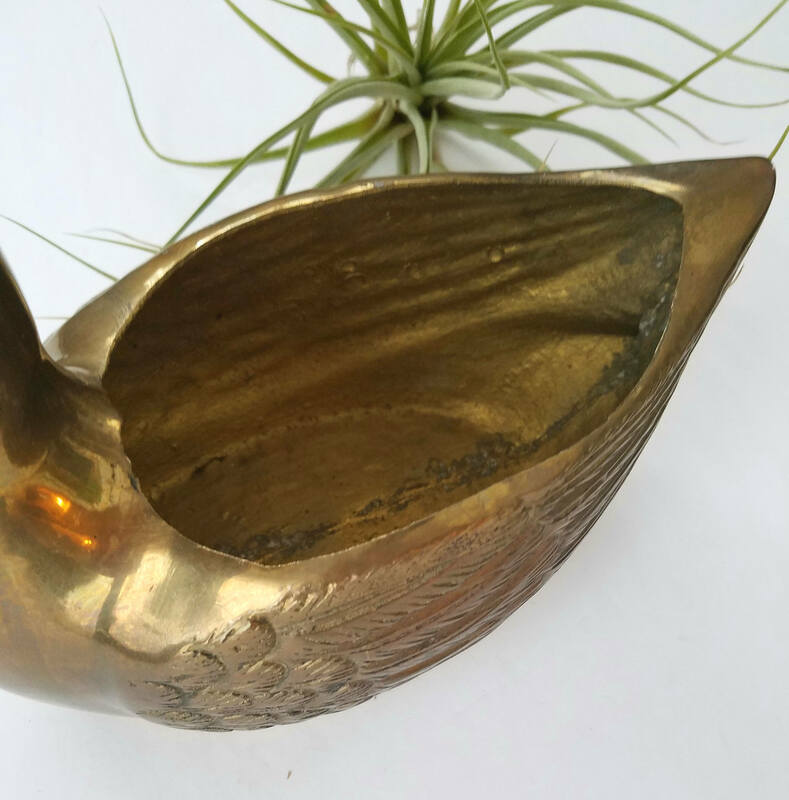 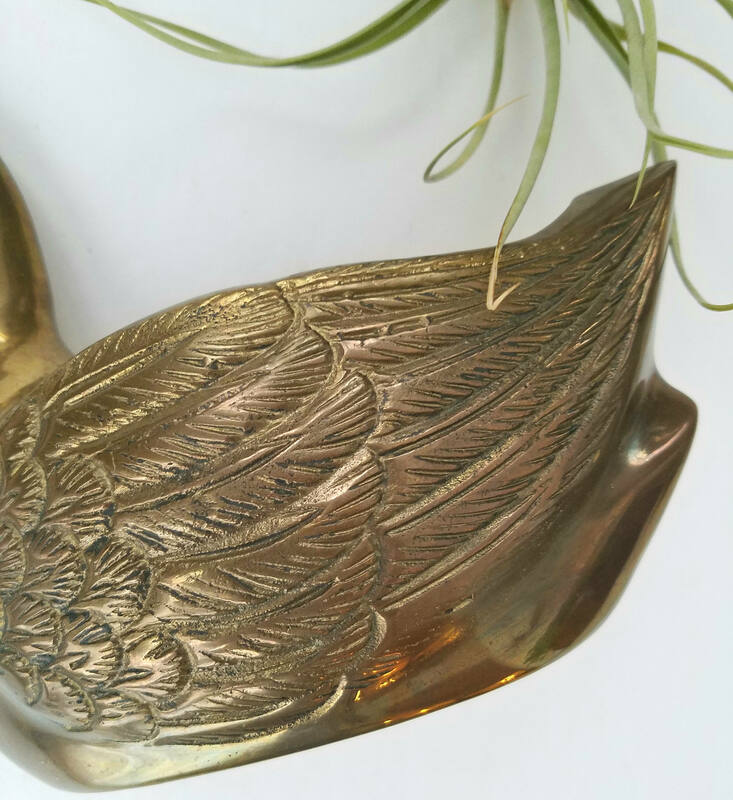 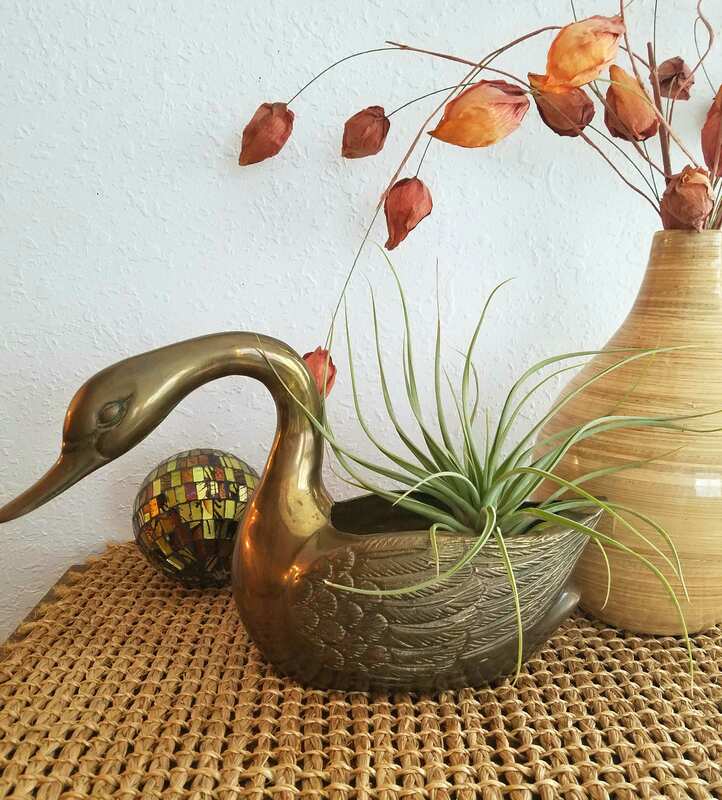 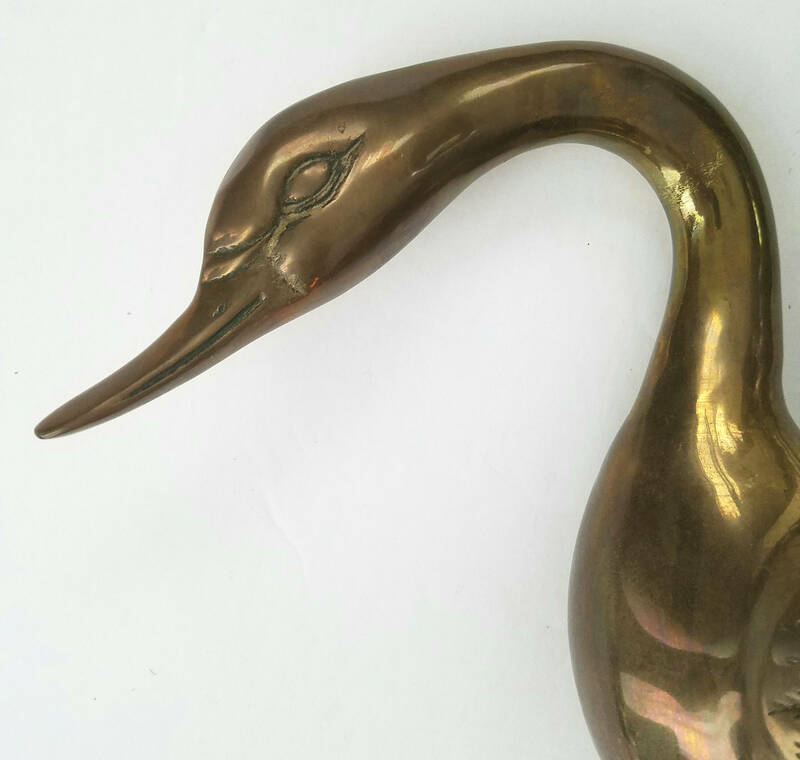 Large vintage brass swan. 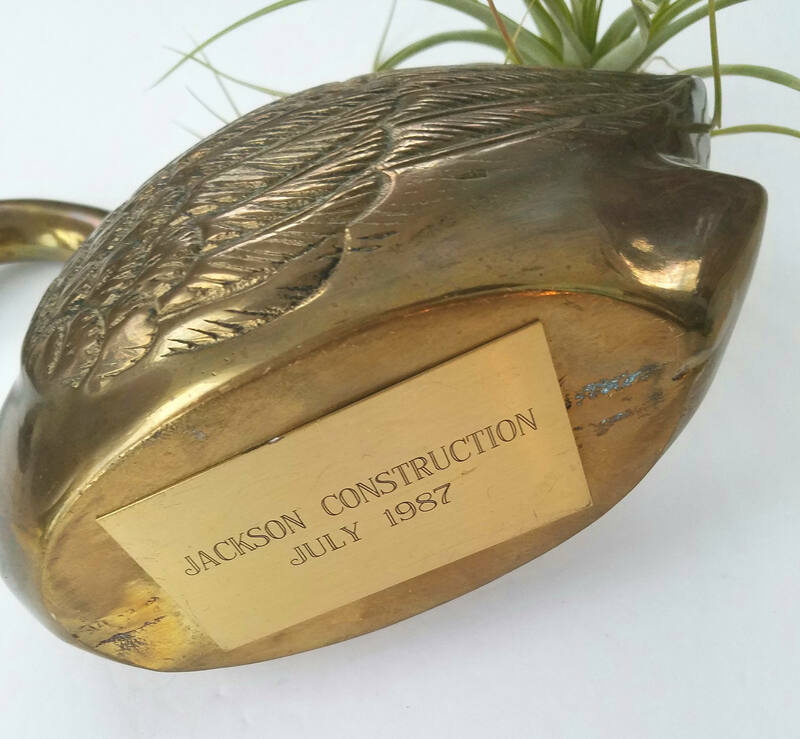 Marked on the bottom with a plaque and in overall great condition. 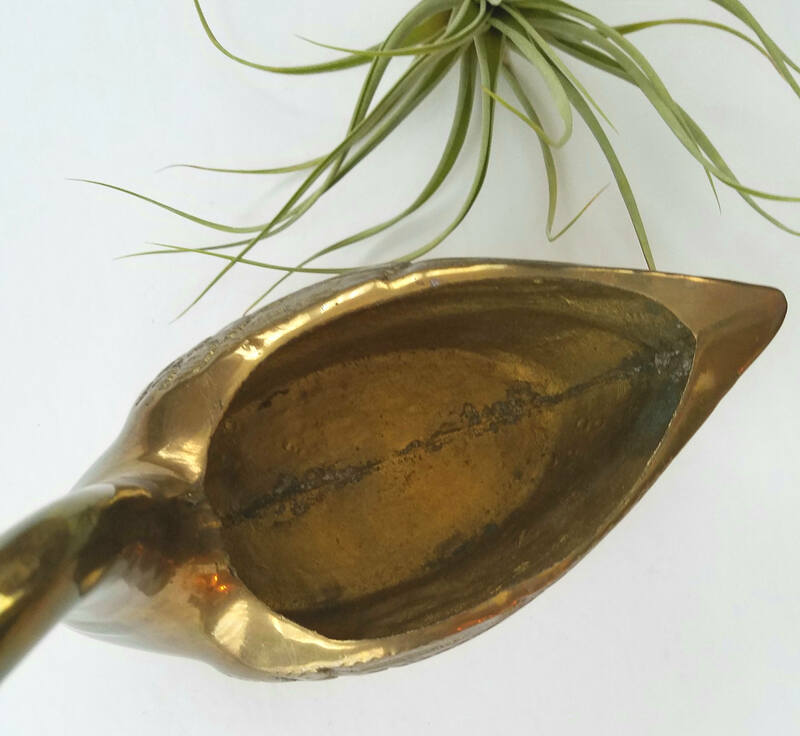 Patina worn and opening is big enough for a small plant. 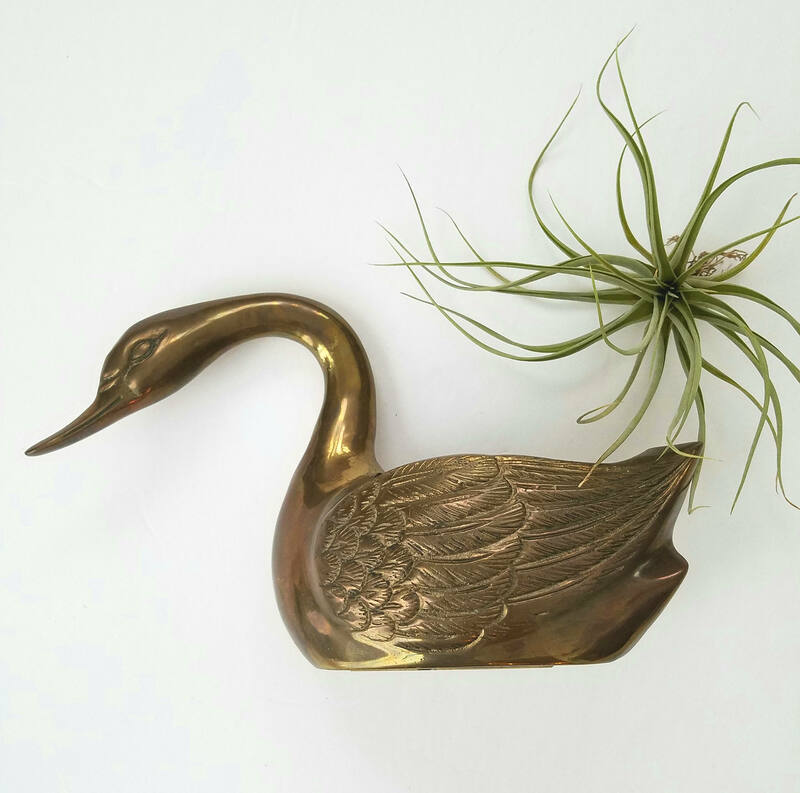 Would be a great Mother’s Day gift.